This article gives you a brief understanding of the main types of diabetes, together with the results of many experiments and researches that prove how ganoderma works to prevent as well as treat diabetes. Our body's cells need sugar (glucose) as their energy source. 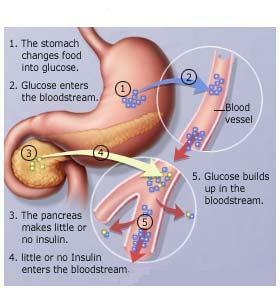 The key to "open the door" to our cells is called Insulin (a hormone produced by beta-cells in the pancreas). When insulin in the blood is insufficient or when it cannot open the doors to the cells, glucose will stay in the blood, and in the long-run lead to diabetes. When beta-cells (the insulin production factory) die, the chance of new cells forming is relatively low. Therefore, it is crucial to keep the beta-cells alive for as long as possible so that a sufficient and stable amount of insulin can be produced to allow the glucose in our blood to be utilized. Diabetes is diagnosed when the fasting blood glucose value exceeds 130 mg/dl and postprandial blood glucose value exceeds 180 mg/dl. 1) Type I Diabetes - insulin-dependent diabetes mellitus (congenital). Diagnosed in children aged 10 to 14 years old. Virus invasion, chemical medicine or autoimmunity are suspected to be possible causes. As their beta-cells are unable to produce insulin, diabetics are dependent on insulin supplementation for the rest of their lives. 2) Type II Diabetes - non-insulin dependent diabetes mellitus (maturity-onset or acquired). 90% of diabetics belong to this group. The majority is insulin resistant (insulin hormone becomes less effective at lowering blood sugars). 3) Gestational Diabetes - Diagnosed in about 2% to 3% of pregnant women. Normally, high blood glucose levels disappear after delivery, but women with gestational diabetes are prone to developing Type II Diabetes. There is no cure for diabetes. The only way is to undertake prevention and control of diabetes. Dietary control is of paramount importance to ensure our blood glucose is maintained at the desired level. Reduce consumption of sweet desserts, starch and sweet fruits. Creatinine is a waste product of metabolism in our body. It circulates in the blood to our kidneys for excretion through urine. However, if we have renal/kidney disfunction, the creatinine cannot be excreted. The US National Institutes of Health (NIH) suggest that when men and women have a creatinine level exceeding 2.0 and 1.5 mg/dl respectively, professional advice is required to prevent the occurrence of diabetes. Prof. Zhi-Bin Lin of Beijing Medical University published a report on the improvement of diabetes in mice fed with a homogeneous polysaccharide peptide of G. lucidum (GIPS). This provides a convincing evidence on the ability of ganoderma to maintain pancreatic function. Further, the beta-cells of mice fed with GIPS survive longer than mice in the control group. This means GIPS prolongs the lifespan of beta-cells and by doing so, prevents diabetes. GIPS has the ability to eliminate the free radicals that attack the beta-cells. In other words, ganoderma is potent in diabetes prevention. A majority of researchers believe a treatment that lowers blood glucose and at the same time maintains insulin levels can be effective in controlling diabetes. Since GIPS has been shown to be effective in improving these 2 aspects, it has the potential to become an auxiliary medicine in diabetes treatment and prevention. 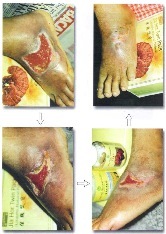 In other experiments conducted on mice and human clinical trials using a special strain of G. tsugae (YK-01), ganoderma is also proven effective in eliminating free radicals, prolonging the lifespan of beta-cells, lengthening the time for insulin production, and ensuring the stability of blood glucose levels. A rule to note is the higher the dosage being used, the shorter the time it takes to see the effects. Due to the inability of the body to modulate and control blood glucose levels, diabetic patients constantly feel hungry. But if they eat too much, they will have difficulty reducing their blood glucose levels. In 1987, Japanese researchers conducted a "glucose tolerance test" and found that rats with high blood glucose that were given ganoderma hot-water extract had decreased levels of blood glucose and plasma insulin. This indicates that ganoderma hot-water extracts are effective in reducing excessive blood glucose and so contribute positively to control the disorder in blood glucose metabolism. However, only a high dosage will be effective. 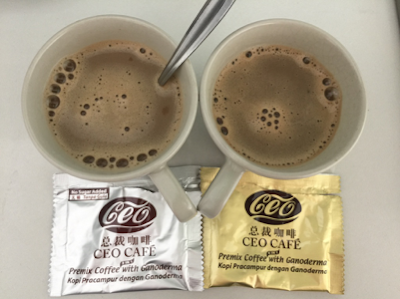 In 2000, a clinical trial was conducted in Taichung Veterans General Hospital in Taiwan that indicated that ganoderma acts to improve both "postprandial blood glucose" and the "life quality" of diabetic patients. The treated group had a decrease in postprandial blood glucose and no significant differences in the fasting blood glucose. The majority of Type II diabetic patients are able to control their fasting blood glucose after taking western medicines, but postprandial blood glucose is often difficult to control. In this respect, ganoderma can make up for the shortcomings of western medicine, as a supplementary treatment of diabetes. The treated group had a significant reduction in their systolic blood pressure and triglyceride levels. The treated group reported improvement in their quality of life compared to those in the control group. Diabetes is a disease in which prevention is more vital than treatment. 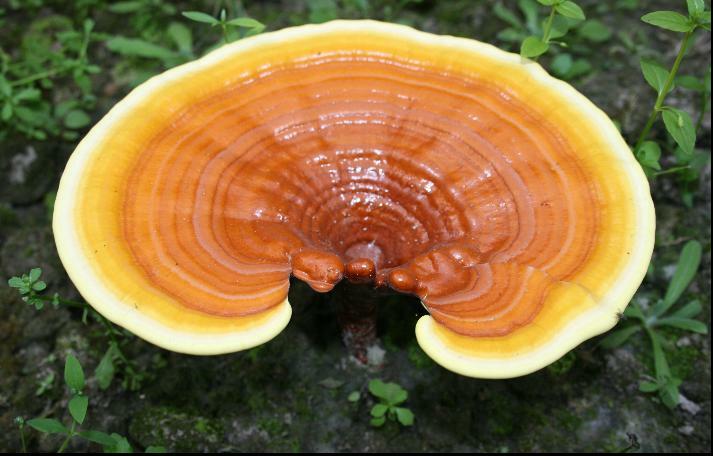 Ganoderma has been proven by scientific research to be effective both in prevention and as supplementary treatment. It is important to highlight that the dosage for people with high blood glucose levels should be at least high enough to have a therapeutic effect. Continuous high dose administration over a 3-month period is recommended. Please email me at askfuiping@gmail.com if you wish to manage your high blood glucose level or diabetic problems using Yung Kien Ganoderma.